This Is Not An Eye Test. 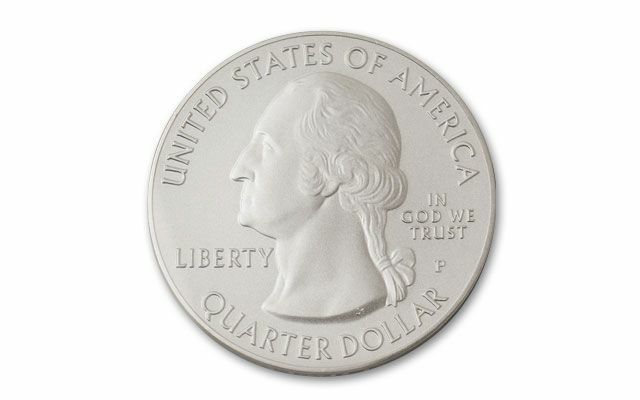 It's America's Biggest Silver Quarter! 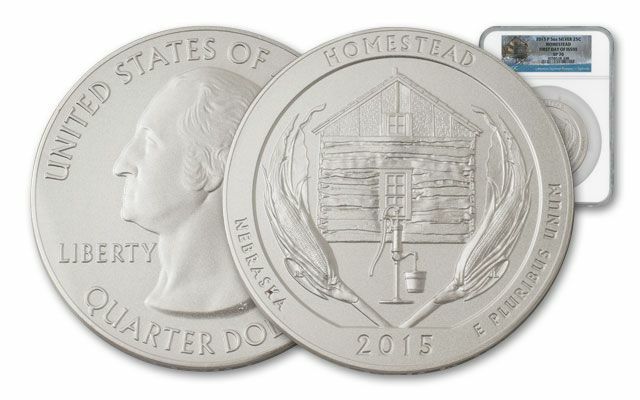 The America the Beautiful series is the first time the U.S. Mint has ever struck coins in five-ounces of silver. The series celebrates historic landmarks of each state. This 2015 Nebraska ATB Silver Quarter honors the Homestead Act with a design of a cabin, a pump and a wreath of corn. The Homestead Act was signed by President Abraham Lincoln in 1862 and opened up the Great Plains for settlement. This example is the first ATB coin to ever be granted the First Day of Issue (FDI) designation. It grades perfect Specimen-70 (SP70) as well by Numismatic Guaranty Corporation (NGC). 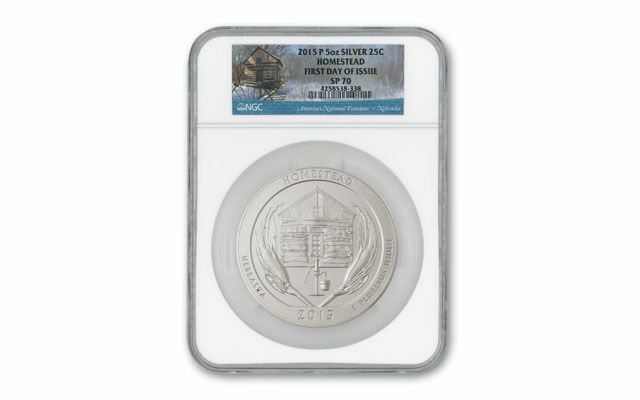 When you consider that earlier perfect-graded 70 ATB silver Quarters are currently selling for as much as $2,280 each elsewhere, you'll understand why this special First Day of Issue coin is being offered here. Don't wait to secure yours, supplies are limited.